My dad works next to a bakery, and sometimes he brings home little treats for me and my sister. 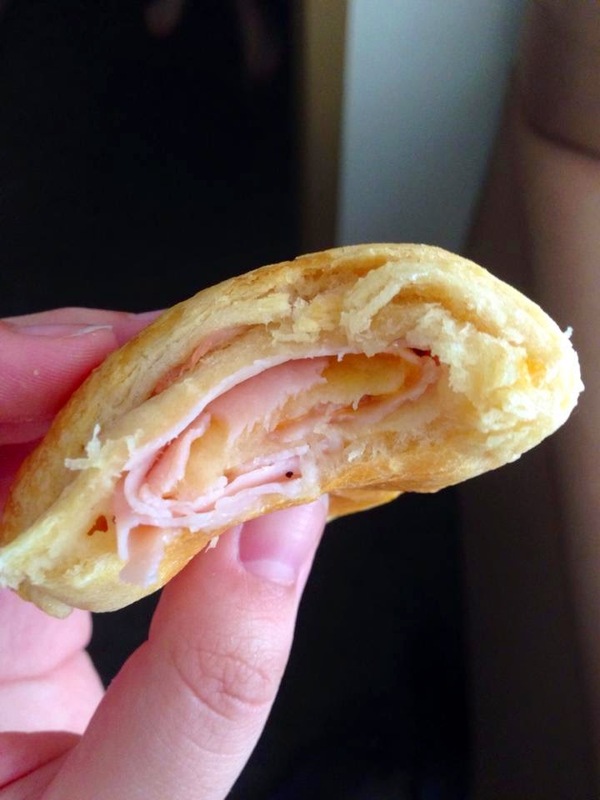 My favorite thing from there is the ham and cheese croissants. Now, since I'm a 7 hour drive away from said croissants, I get a craving for them that I just can't seem to fix. I decided to try my luck at baking, and it went surprisingly well! Since I have a college sized kitchen, meaning not a lot of counter space and no oven, I had to use store bought croissant dough, but it tastes great all the same! 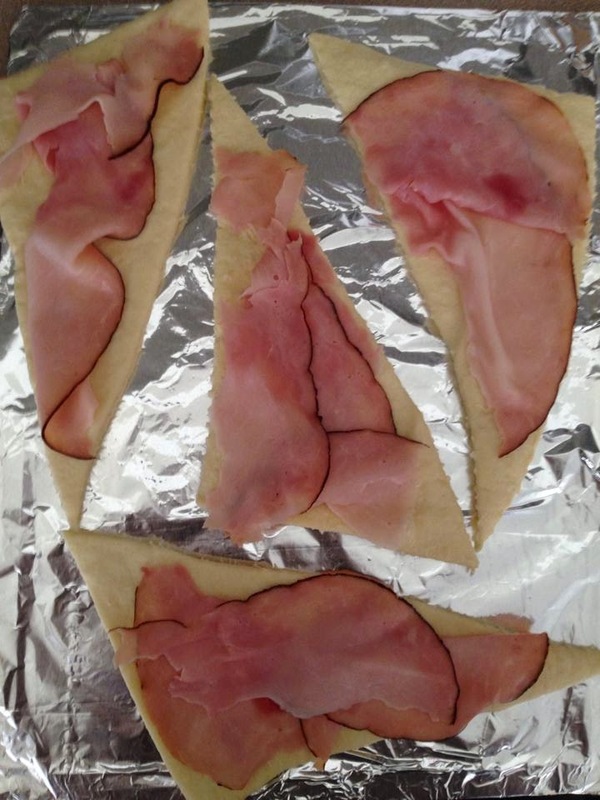 Start by putting a slice of ham on the unrolled croissants making sure it covers the whole length of the dough. Then add as much cheese as you want to the middle of the croissant. Next roll them up (loosely!) 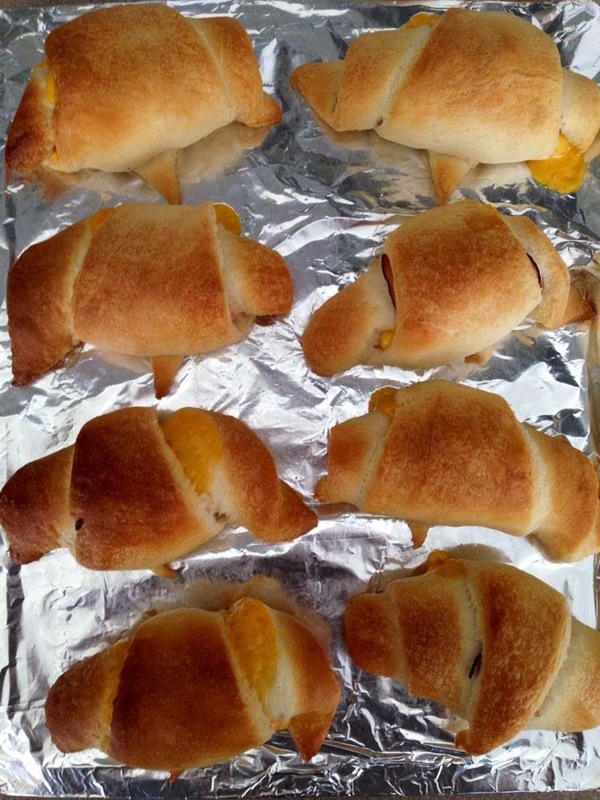 and pop them in the oven (or in my case, mini convection oven) for the amount of time and temperature listed on the croissant roll instructions! It may take a little longer than that to brown the tops because of the fillings, so adjust by checking in on them every couple of minutes. 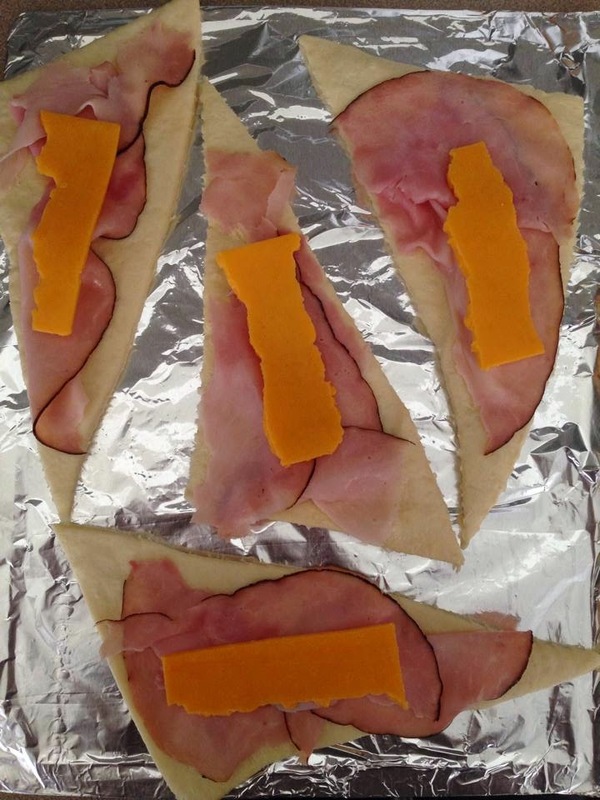 This is an extremely simple recipe that took no time at all! 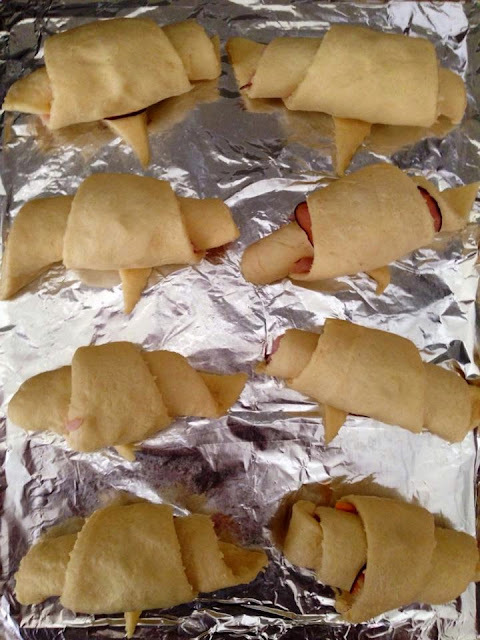 These croissants would be great to serve at a party, as a snack, or to make with kids if you're babysitting! Although they weren't as delicious or homemade tasting as the bakery cravings I was having, they definitely hit the spot and I would absolutely make them again!